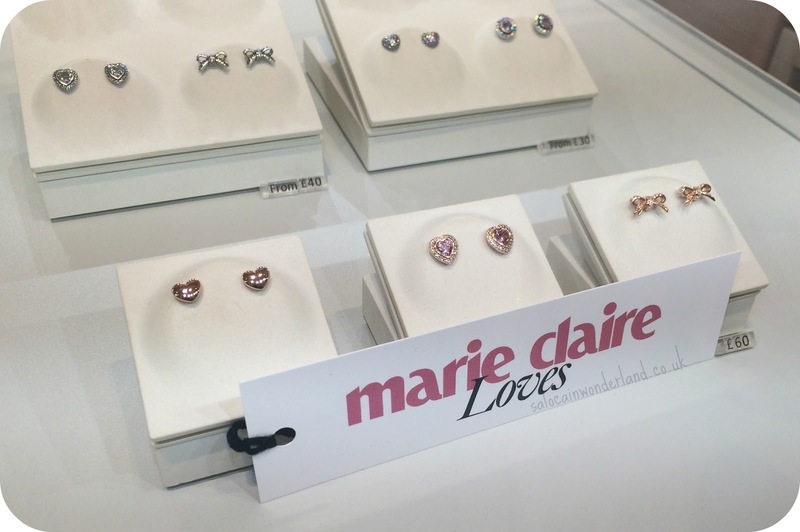 Last week I popped along to my local Pandora store in Liverpool One for their #MakeitRose launch with Marie Claire magazine. I’m like a magpie when it comes to anything and everything shiny, and am slowly building what I would consider a very meaningful and shiny jewellery collection. 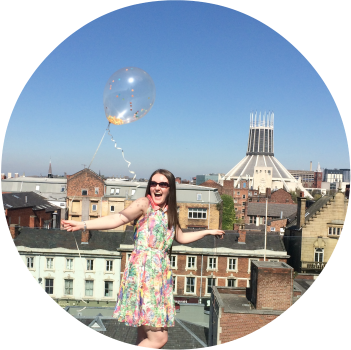 One thing it’s severely lacking is some rose gold - which as a blogger, is probably some kind of sin - #bloggerfail. So I went along hoping Pandora and Marie Claire was going to save my blogging soul and give me some rose gold inspiration for my collection. The season of the ring is upon us folks, and though I’m not much of a ring wearer, my hands are just so childlike, I can’t find anything that really suits my little fingers, Pandora have brought out some too lovely to ignore pieces that are so dainty and delicate, even my little fingers could pull them off. I was especially taken with their dazzling daisy band (£75) that screams Spring Faerie, and their signature bow ring (£55) that is dainty beyond words. 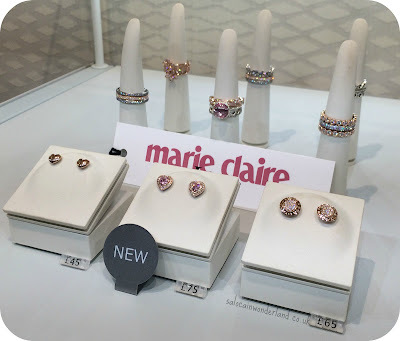 This year it’s all about stacks and mixed metals, and I saw many a sales assistant, and the Marie Claire fashion editor herself sporting silver stacked with rose, and gold stacked with silver rings of all sizes, from your traditional ring to rings that came just past your nails. Not exactly my cup of tea size wise, but I love the look of the metals mixed with each other. Pandora is one of my favourite jewellery brands, I am obsessed with their charms, especially their leather wrap bracelets, of which I have acquired several since they launched a while back. I have pathetically tiny wrists that make bangles and traditional bracelets difficult to wear, but Pandoras wraps and charm bracelets fit like a glove. Their current rose collection has several delightful charms that would look stunning on any charm bracelet. Everything about the collection screams sparkle, it all catches the light superbly and instantly glams up the simplest of outfits. 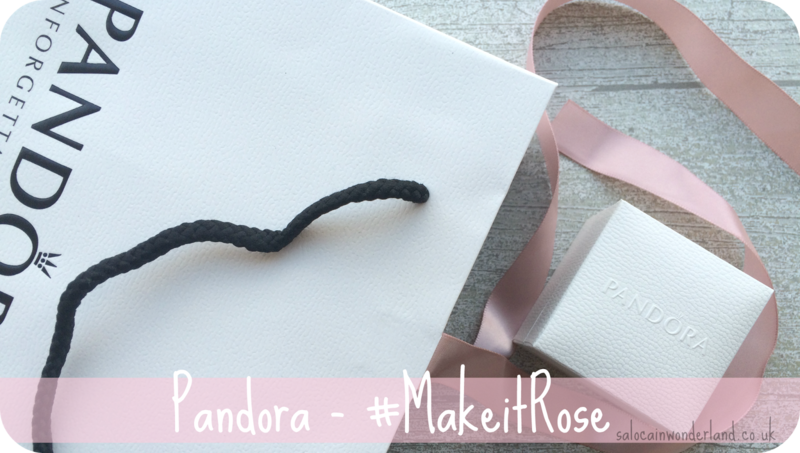 Pandora jewellery is all about being able to treat yourself with affordable luxury pieces that are timeless, effortless and meaningful, of which I might have treated myself to a little something on the night purely because I decided I deserved it. Why the hell not? We all deserve a little luxury now and then! Flighty feathers are bang on trend this year but don’t think that means wearing a simple set. Oh no. It’s all about mismatching, mixing, the imbalance of a stud in one ear and a bold statement piece in the other, think a laid back rock and roll Kate Moss. Mismatch your pieces, mix up your metals and make your own statement. Now, thats a trend I can get on board with! It’s also a great way of recycling some older pieces, giving them new life by mixing them with one or two new statement pieces in your collection. Remember I told you I might have treated myself on the night? 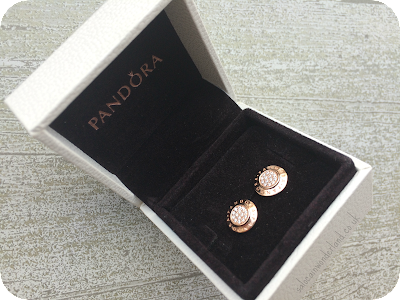 I ended up coming home with these stunning Pandora Signature earrings (£65). My inner magpie, and the enabling voice that was Danielle wouldn’t let me leave without them. They are ridiculously shiny for something so small and catch the light even on the dullest of days. Though I’ve paired them with a dainty silver necklace, I already have my eye on the matching Pandora Signature charm (£45). Shopping with Danielle, Danielle and Katy was so much fun, even if I did end up doing a little damage to my credit card haha! The rules are out the window this season, so how will you #MakeitRose and stack your style?